Vincent van Gogh (1853–90) is without a doubt one of the most famous artists of the Western world. The record auction prices achieved for his paintings, fuelled by the desire to own a part of this troubled soul, are now legendary. 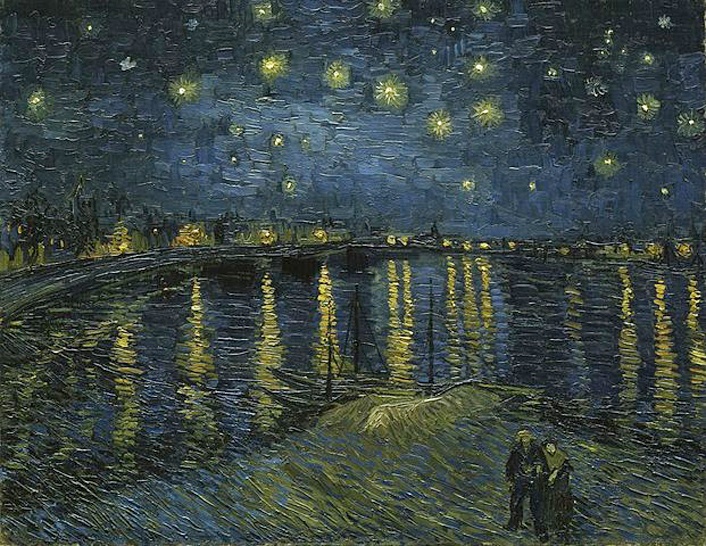 In a letter to his sister Willemina, Van Gogh wrote: ‘Often it seems to me night is even more richly coloured than day’, something which is evinced in his beautiful night painting Starry Night Over the Rhône (1888). Vincent Van Gogh – the man, the legend and the artist – has become all but lost in propagated myths and romantic visions. He is perceived as the ‘mad artist’, the man who painted in a frenzy, the tormented soul, the artist who cut off his ear – all partially true – but factors that have nonetheless suffocated the actuality of an intelligent and reasoned man.